Beluga 13 ft. Red/Black Inflatable Boat is one of the K series models which were designed as a racing model for competitions with 25 horsepower engine. It is characterized with 13’ width, 6’ tubes diameter and enhanced security settings. 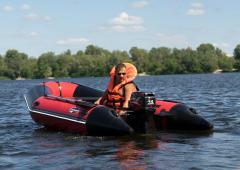 The maximum speed which is available with 15 horsepower engine is about 45 km/hour. 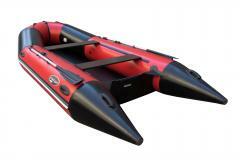 The model can be successfully used both as a racing boat and as water transport for up to 7 persons with total weight of about 1,874 Lb. 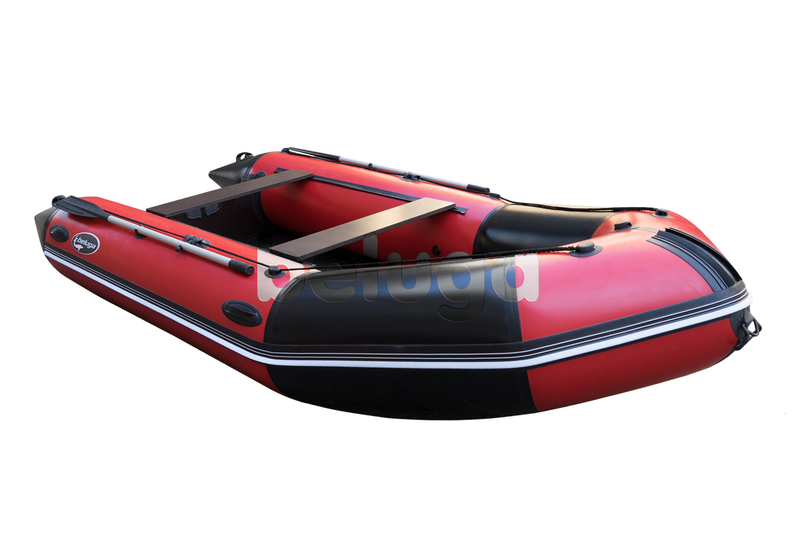 Beluga 13 ft. Red/Black Inflatable Boat is often compared to a strong and solid off-road car. 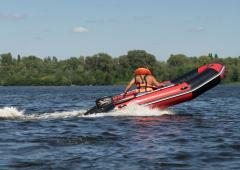 It provides excellent shock-absorption on the waves, high stability and safety. The model is equipped with six hermetic chambers - three in the frame and three keelsons. 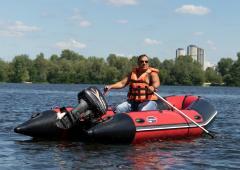 Beluga online store proposes the lowest price and the best technical features for such category of boats. You can order 13 ft. Red/Black Inflatable Boat with free shipping to any country of the world, and be sure that your selection is quite right! This boat has flat and hard deck. And it means, that I can put some baggage or tackles, and all this will not turn over, not leak, etc. Very comfortable boat, especially for fishing. Red color is visible from a distance! 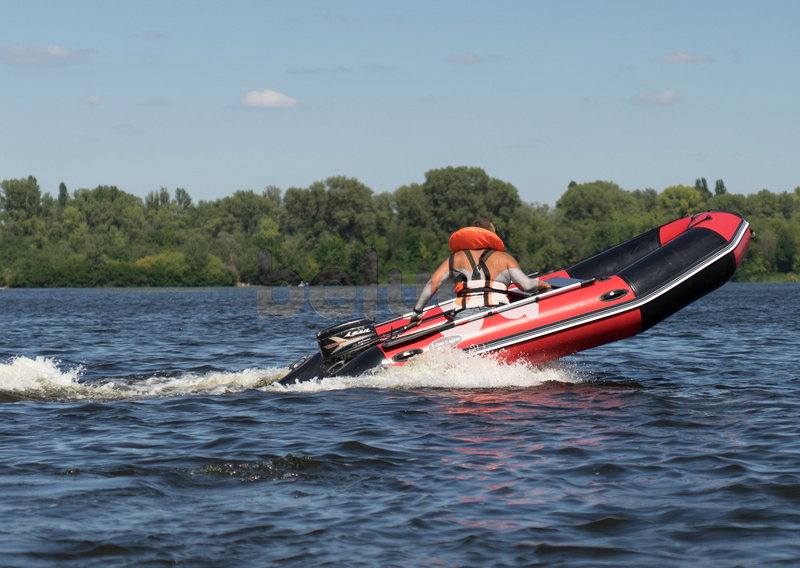 Therefore I know that if I am lost or will get lost on the lake or in coastal sea waters, rescuers will be able easily find me from a distance. It is very important for my safety. I ask myself, what will be if I puncture the boat? Guys from Beluga have told me, that it is very difficult to make it. It is necessary either to knife the boat, or to give a ride to it on a bottom with sharp stones. Generally I am convinced, that this boat is strong, and it is very difficult to receive a puncture in its case. What it is better red or white? I still doubted but now I think that your red boats are better, thanks to the size. Already from 13 ft. this boat is 1 foot longer than 12 ft. the biggest boat from other series. And it means one person more in the boat, and it is very important for me. 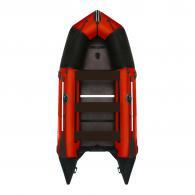 Unambiguously these boats are the best in your store. My family (me, my wife and two children) love fishing. Earlier we fished ashore, but after I've bought this boat, fishing by the boat became pleasure. We sit all four together, the rods, tackles, food, and the catched fish are next to us. It is really good and practical.